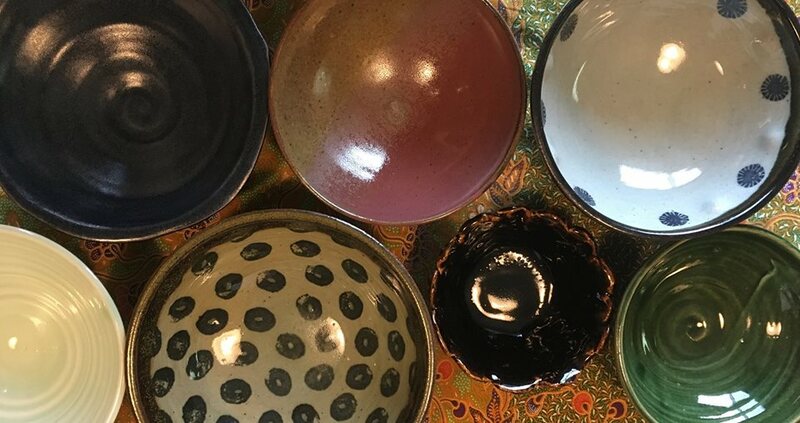 The Betty Rodriguez Library will be featuring the works of Robert Lee and Vince Smith.The artists will be on hand to talk about their art and answer any questions at the reception on March 21st from 5pm-8pm. Virtual Reality tours of art museums will also be available. 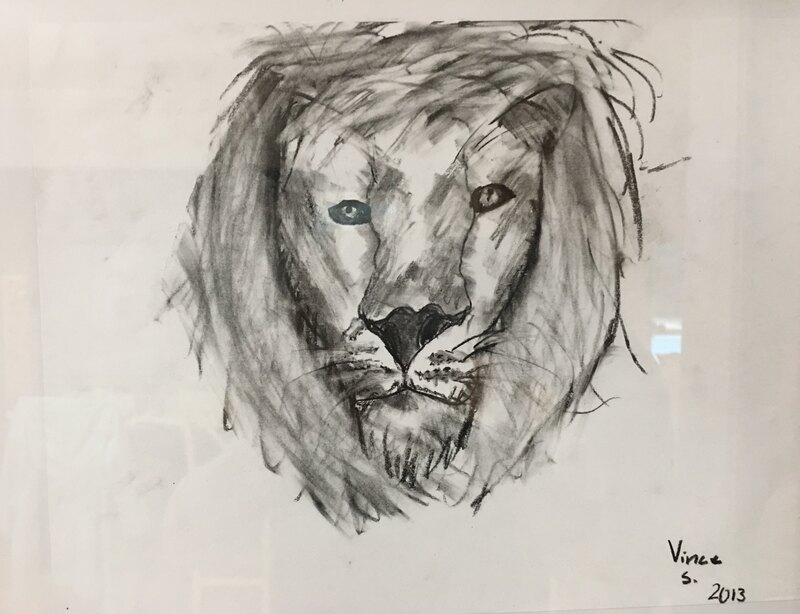 Vince is an 8th grader in Fresno, California and is excited to have his first art show. He has been drawing and doodling since he was old enough to hold a pencil. He enjoys oil painting but his largest piece is in acrylic paint. He likes to work with charcoal and pen. Vince has taken a small number of art classes and is largely self-taught. In addition to his interest in art, Vince also enjoys reading, challenging himself in math and playing basketball. Come and enjoy some great art. A virtual reality experience will also be available. Catherine grew up in Kingsburg, California, and graduated from Fresno State with a major in elementary education. 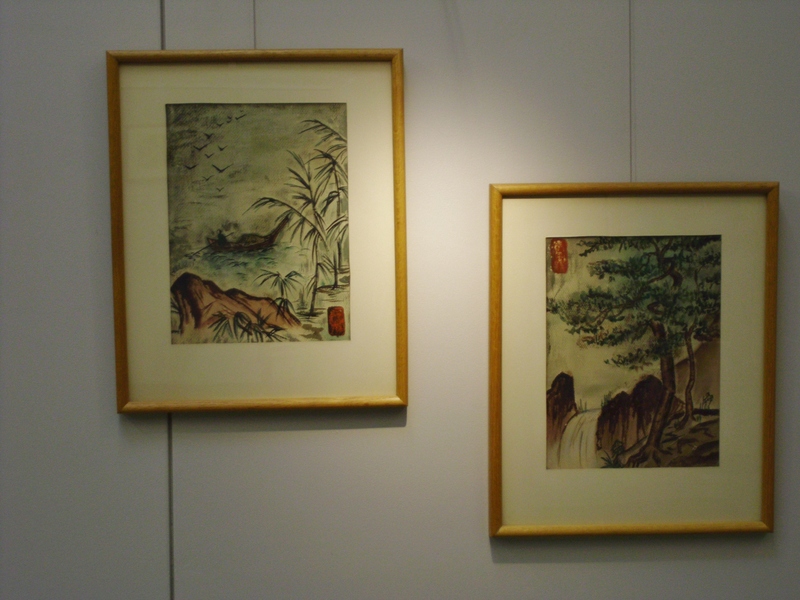 While there she took a few art classes to pursue her interest and talent in art. For many years she has resided in Bartlesville, Oklahoma, where she has experimented with various art techniques and styles. These endeavors have provided a positive and enjoyable outlet for her throughout the years. 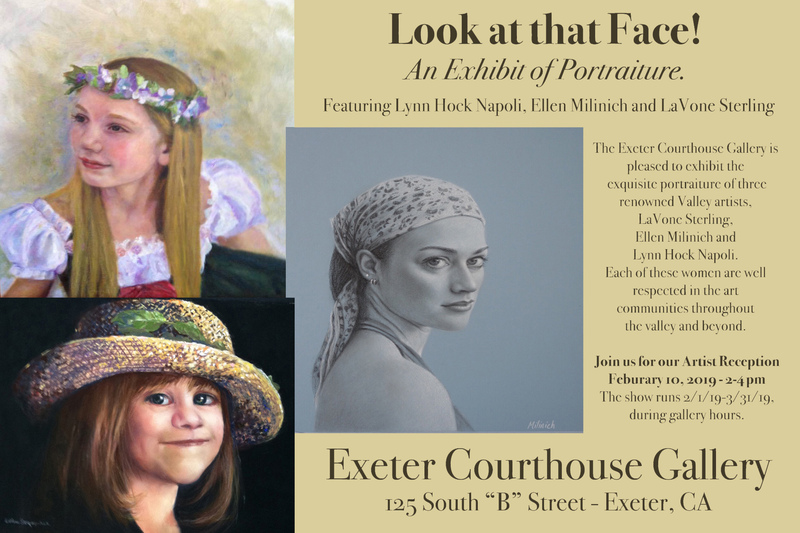 The Exeter Courthouse Gallery is pleased to exhibit the exquisite portraiture of three renowned Valley artists, LaVone Sterling, Ellen Milinich and Lynn Hock Napoli. Each of these women are well respected in the art communities throughout the valley and beyond. We are honored to have the work of these talented women grace the gallery walls. Please join us for their Opening Reception on Sunday February 9, 2019, 2:00 – 4:00 pm. We will be serving light appetizers and refreshments. During the reception Lynn will be doing a demo of her technique. All three ladies are open to commissions and will be available for your questions during the reception. The show runs from February 1 through March 31, 2019 during gallery hours, Saturdays and Sundays 10:00 am – 4:00 pm. The Exeter Courthouse Gallery is located at 125 South “B” Street, Exeter. For more information please call (559) 592-5900 or email at exeterarts@outlook.com.